Nothing to say that hasn’t been said. Nothing to write that hasn’t been read. Don’t have a song that hasn’t been sung. No bell or changes that haven’t been rung. Nothing to do that hasn’t been done. Nothing to win that hasn’t been won. No words to speak that haven’t been spoken. No ground to break that hasn’t been broken. Nowhere to go that nobody’s gone. No light to shine where it hasn’t been shone. No battle to fight that hasn’t been fought. No lesson to teach that hasn’t been taught. No axe to grind that hasn’t been ground. Nothing to seek that hasn’t been found. Nothing discovered not already known. Nothing revealed not already shown. Nothing attempted that hasn’t been tried. Nothing admitted that can’t be denied. No insights or wisdom, no viewpoint or voice. Nick, I hope your writer’s block is beginning to loosen. I went through months of mild depression after retiring and couldn’t write, but in the end I got over it. The best cure, I finally decided, was to simply write and live with whatever came out. I hope you are doing well. 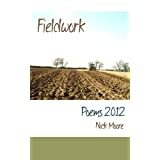 I am not sure, but I think my poetry is as good as it has ever been, although that may not be as good as I would like.